Recently, WSD revamped the mobile version of the site to better match the desktop version. Now the view on mobile is just as stunning as the view on desktop! Jamie Chang came to Weller Smith Design when she was ready to UpLevel her brand. 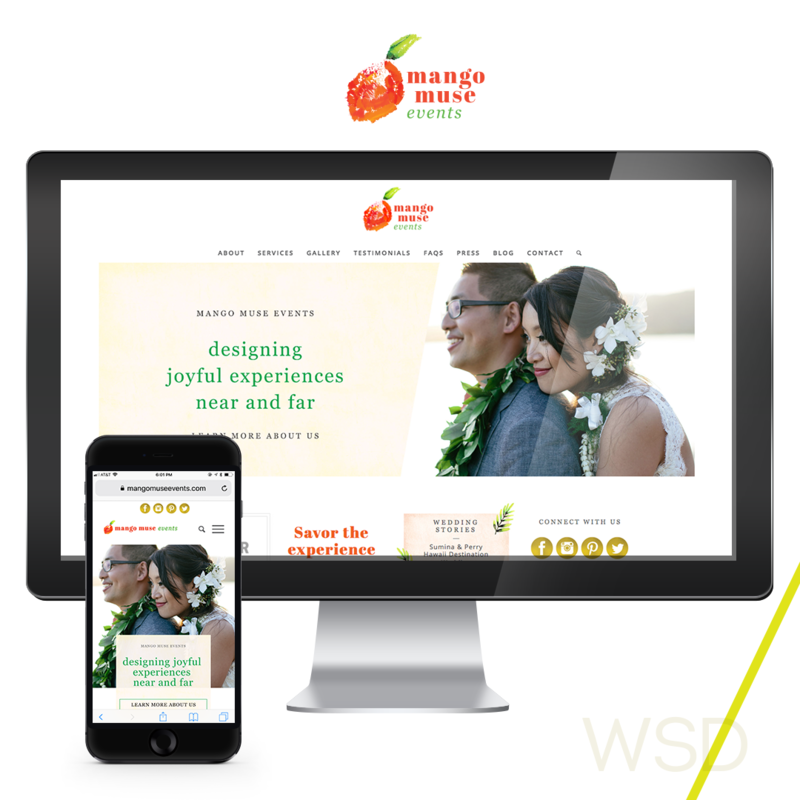 Mango Muse Events was already a very successful Destination Wedding resource and her business was thriving, but she wanted to bring a more personal and sophisticated look to her site to further distinguish her positioning as a leader in her industry. 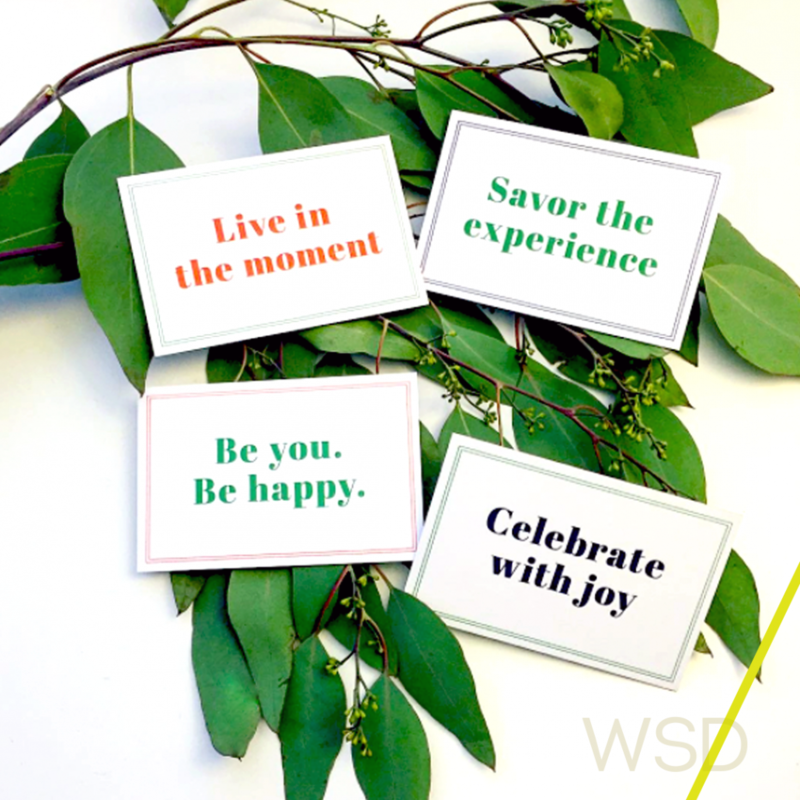 She was looking for something that really brought out her own personality, as well as her belief in creating moments of Joy for her clients. 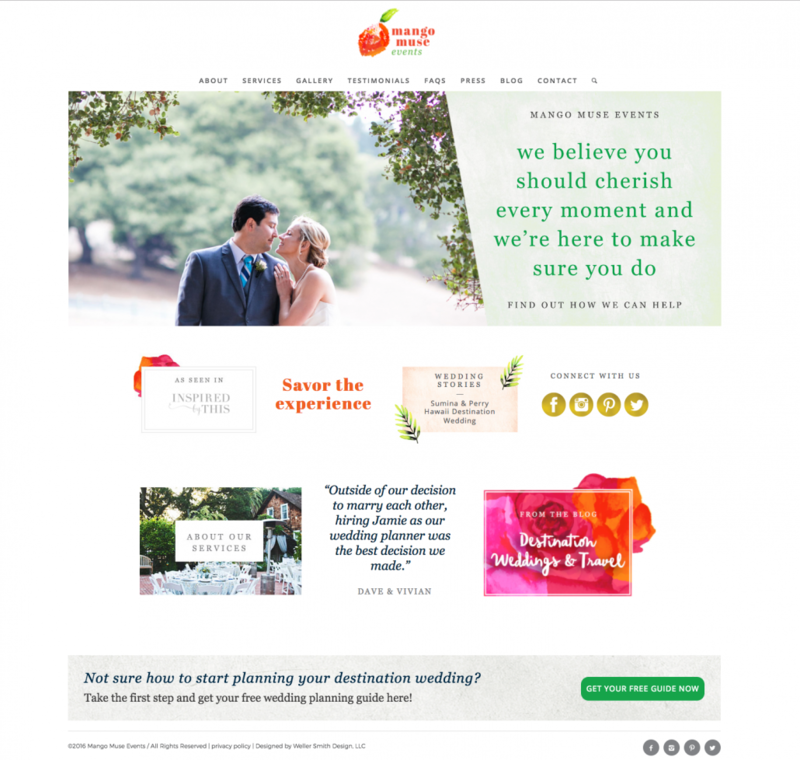 She did not want to look like every other wedding planner online. Keeping that in mind, we created a unique look and feel throughout her site to represent the stories behind the weddings as well as to bring her own personal touch to the design. Jamie had two separate websites that needed to be consolidated into one. She had a main service website and a completely separate blog. She knew she needed to upgrade and combine her site because google was cracking down on non-mobile-ready sites, and her site was definitely not responsive. Our challenge was to figure out how to take multiple years of blog posts, reorganize them, and then remap them to her new site. It was a huge undertaking, but our team and Jamie worked through all the details for a seamless launch. Jamie had a very specific and concise vision for the next iteration of her online presence, but she was also very open to creative ideas that we presented to her. We love collaborative clients, and that is exactly how it was working with Jamie on this project. 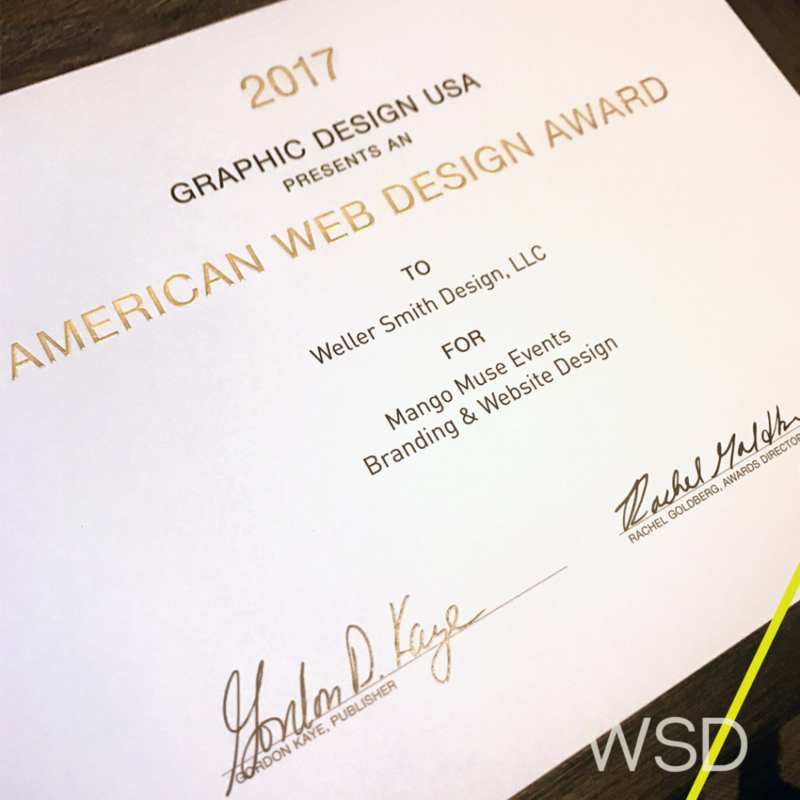 I hired Weller Smith Design because I was looking for a company who understood my business and cared about my brand and style. I wanted a team that could translate my goals and ideas into not only a beautiful, but functional, mobile-friendly website…and they totally delivered! The WSD team is not only friendly and caring, but organized, communicative, and super creative. They’re not only pros, but awesome people too!